Interested students can find the application form on our Scholarships page or they can use the universal scholarship application form available at their high school guidance office. Applications are due by April 30, 2014. 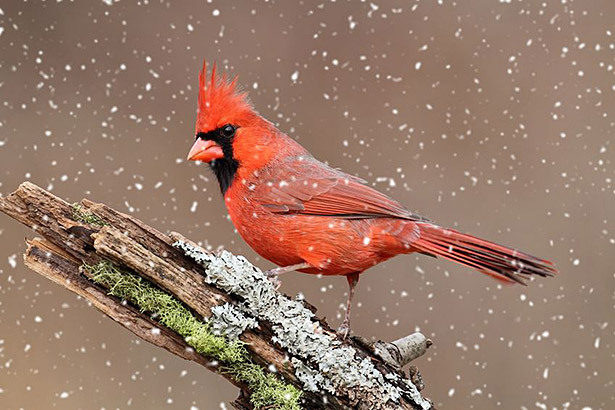 A male Northern Cardinal during a snowstorm. If you can tell a robin from a Red-tailed Hawk and you have 15 minutes to spend in your backyard, a local park, or even at your living room window, then you can participate in the Great Backyard Bird Count (GBBC). 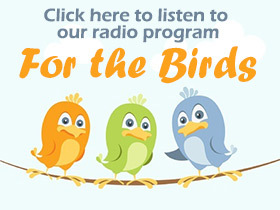 A four-day event that generates a real-time snapshot of bird life in the U.S. and around the world, the 2014 GBBC will run from Friday, February 14 through Monday, February 17. The GBBC unites birders from more than 100 countries around the world in a common goal: tallying and discovering more about the birds in their community. GBBC data tells scientists how weather influences bird populations, where irruptive species occur, how current year migrations compare with previous years, how bird diseases affect population, and more. The information gathered by tens of thousands of volunteers helps track the health of bird populations at a scale that would not otherwise be possible. Anyone anywhere in the world can count birds for at least 15 minutes on one or more days of the count and enter their sightings at www.BirdCount.org. The GBBC is a great way for people of all ages and backgrounds to connect with nature and make a difference for birds. It’s free and easy. Last year, more than 134,935 citizen scientists counted 34.5 million birds in the first ever global bird count. An astonishing 3,610 species were recorded—nearly one-third of the world’s total bird species documented in just four days! “This is a milestone for citizen science in so many respects—number of species, diversity of countries involved, total participants, and number of individual birds recorded. We hope this is just the start of something far larger, engaging the whole world in creating a detailed annual snapshot of how all our planet’s birds are faring as the years go by,” said Cornell Lab of Ornithology director Dr. John Fitzpatrick. Learn more about the count at www.BirdCount.org where you can get started by creating an account and downloading a checklist. On this site you will also find photos, identification tips, sounds, maps and other useful tools to make the most of your GBBC experience. Be sure to submit your checklist! The Great Backyard Bird Count is a joint project of the Cornell Lab of Ornithology and the National Audubon Society with partner Bird Studies Canada.